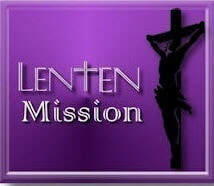 Our Lenten Parish Mission, “Transforming Anger into Forgiveness,” led by Fr. Tom Allender, S.J. will be held on February 19, 20, and 21, 2018. Fr. Allender will speak at all Masses on Saturday, February 17 and Sunday, February 18. Fr. Allender will be presenting this mission after the 8:00 a.m. Mass and in the evenings from 7:00 – 8:00 p.m.
Fr. Allender, nationally known author and preacher, was ordained a Jesuit priest in 1971. He holds degrees in theology and philosophy, has taught at both the high school and college level, and served as an innovative school administrator. Fr. 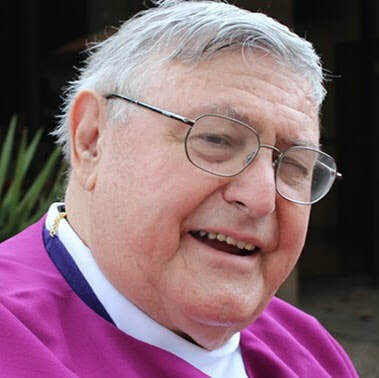 Tom has given well over 2,000 Parish Missions in the United States and Canada under the general theme of “Life’s Journey.” Along with his associate, Donald Fisher, Fr. Tom has authored a book, God Loves an Unmade Bed, a down-to-earth meeting with a God who loves us unconditionally, precisely in our troubles. During the mission, Father will focus on how we develop a realistic and psychologically honest spirituality. Through probing questions about personal priorities, relationships and fears, Father points the way to a relationship with God that transforms current problems into forgiveness and growth. This relationship is the spirituality that alone can give heart to religion, the celebration of inner life.